Car accidents, unfortunately, happen every day. 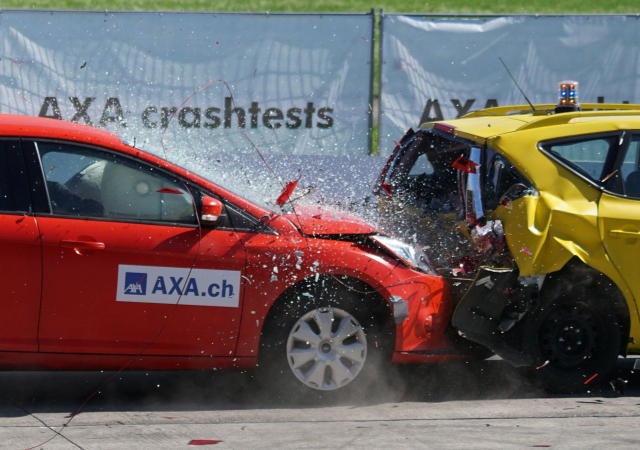 Most of the car accidents are caused by human error. Some may be minor but the lives that are lost every year and the people who are left with injuries are many. In the blink of an eye, an accident can happen and turn your life upside down. To avoid being involved in one, it is vital to understand some common causes of car accidents and the areas where they happen most. This will help any driver to be more prepared while driving and also more careful at places where the accidents happen most. With an authentic interactive car accident map, you can avoid high crash areas when planning out a route to take. The most contributing factors to such accidents include; careless driving, disrupted driving, speeding, drugs reported driving, alcohol driving and, aggressive driving. Studying the map can help protect yourself from having a fatal accident. A two-lane road is one of the areas where serious accidents happen. Unlike the larger highways, a two-lane road offers the drivers only a single lane in each direction. Usually, drivers trying to overtake will stray into the oncoming lane, which can cause a serious head-on collision. Knowing that you are on a two-lane road is enough reason to care when driving. Keeping a safe distance with the car ahead is also very important. We have seen a speeding car bumping into a car that slammed its emergency breaks. Such an accident would have been avoided if the driver were keeping a safe distance. Rear collisions are also caused by distractions such as a cell phone or changing the radio. Drivers should pay attention by avoiding any distraction to avoid such accidents. Stop signs are other common places where accidents happen. In most scenarios, a driver fails to stop just in the right time. Others fail to stop entirely and may end up knocking pedestrians or crashing with another car. Another dangerous area where accidents happen is the place with animal crossing signs. Usually, such places will require you to slow down. We have heard people hitting deers and having fatal accidents. Often, when you see an animal crossing sign, you should be very cautious. Other places to be extra cautious are places with sharp corners, steep places, and black spots. Though accidents at the parking lot may not be much serious, they tend to happen a lot. Drivers should avoid this type of collisions by being watchful of their surroundings. Avoid parking too close to other vehicles so that they may not get a hard time getting out. Mind the size of your vehicle and do not solely rely on the rearview mirrors. Pedestrian movement is constant at the parking lot, and if you are not careful, you might find yourself hitting one. It is better to park further away and walk than deal with a wrecked car.